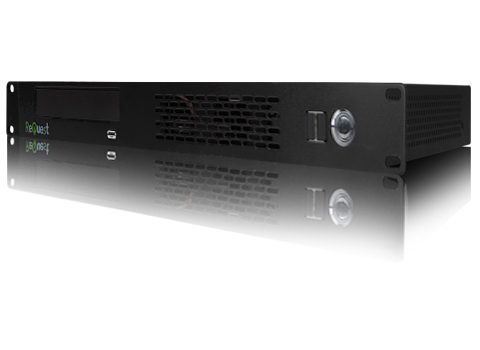 F3 packs all the power of ReQuest's multi-zone Serious Play servers into a compact powerhouse. With the ability to add up to three NAS devices, F3 can handle your entire family's music collection with ease. Adding a MediaPlayer Mini or PLUS brings the true power of F3 to your wide screen hi-def television, playing your archived movie collection, YouTube clips, Hulu, and your Netflix "Watch Instantly" queue. The MediaPlayer even acts like another audio zone, allowing you to stream your music collection to your connected home theater system.